The new, official poster for Dear White People is terrific (and debuting exclusively on Vulture), but the story behind it is even better. 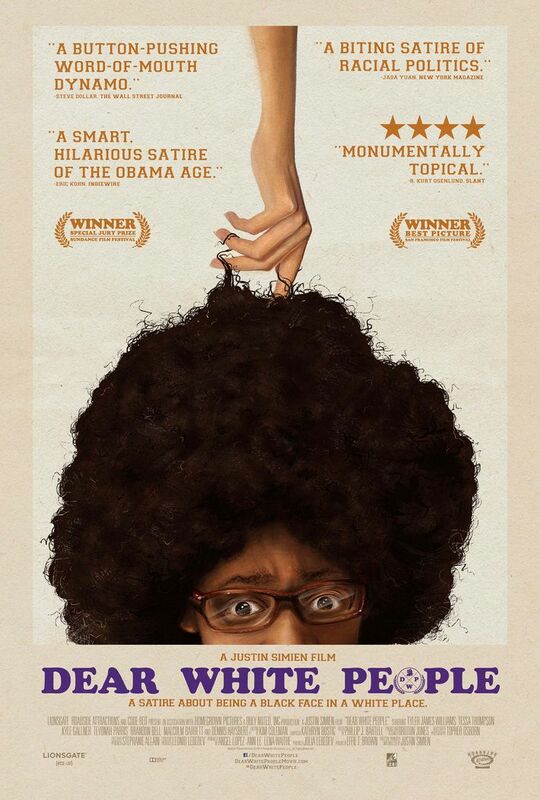 A Sundance Award–winning satire about racial issues flaring up at a prestigious university, Dear White People was financed in part by thousands of people who contributed through a crowd-funding drive — so how perfect is it that this poster was made by a fan, too? Smith mocked up a poster centered on one of the movie’s four leads, gay nerd Lionel, who has to endure having his hair poked and prodded by curious white people on the daily. “Been there, felt that!” said Smith. “I knew if I could capture that ‘gravitational pull’ moment in one shot, it could be equally hilarious.” Encouraged by his friends, Smith then sent his poster to Dear White People writer-director Justin Simien, who loved it; distributor Roadside Attractions agreed, and the image eventually became the film’s official one-sheet in advance of its opening October 17.